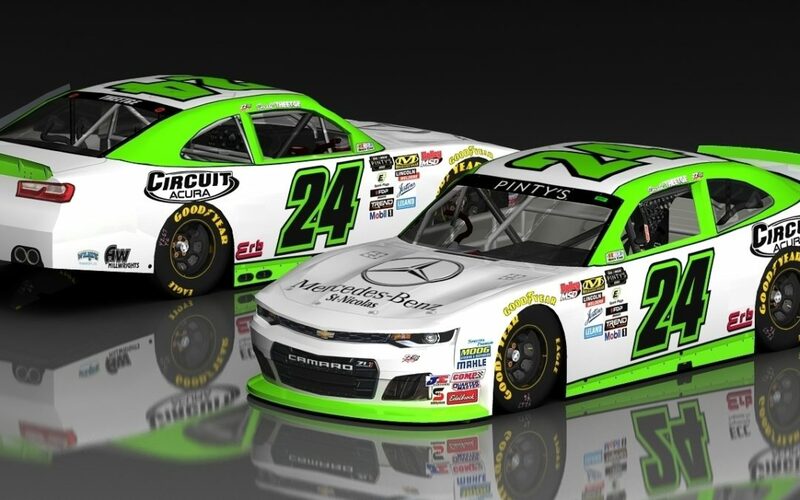 Wednesday March 27, 2019, Milverton, ON: We are pleased to announce today that Donald Theetge will pilot the #24 Mercedes Benz St. Nicolas/Circuit Acura Chevrolet Camaro out of the 22 Racing shop again in 2019. Theetge for the second year will compete in all thirteen NASCAR Pinty’s Series events. Donald Theetge and 22 Racing first partnered in 2016 and for two years he participated in selected events posting two poles and six top five finishes. In 2018 Theetge joined the series full time and went on to win his first NASCAR race which came at Wyant Group Raceway in Saskatoon. He finished the season with six top five finishes and was 7th in the National Championship standings. Donald Theetge is supported by the following sponsors: XPN World, Transport JTM, MRA Métaux Angers, Karousel Elite Membership Club, Auto Frank et Michel, Circuit Acura et Mercedes-Benz St-Nicolas. Donald Theetge is a 52-years-old automotive industry passionate, he owns 3 dealerships with his brother in Quebec City. He has been a stock car driver for more than 30 years, from Boischatel Quebec, he has four championship wins in LMS series career. He has raced in Canada and the United States winning more than twenty ACT and Castrol series races, setting him apart from his opponents. He won his first NASCAR race at Wyant Group Raceway in Saskatoon. 22 Racing is owned by 4X NASCAR Pinty’s Series Champion Scott Steckly and is based out of Milverton Ontario in 7,500 square foot race shop. In 2019 they will field three full time teams in the NASCAR Pinty’s Series with drivers Alex Tagliani, Marc-Antoine Camirand and Donald Theetge. They have prepared and entered cars for drivers such as Christopher Bell, Jacques Villeneuve, James Buescher, Jeb Burton, Kaz Grala, L.P. Dumoulin, Max Papis and many others. 22 Racing provides turnkey solutions for drivers looking to compete in the NASCAR Pinty’s Series. The 22 Racing Team is supported by the following sponsors: Erb Group of Companies, AW Millwrights, Castrol, Wendell Motors, Auto Glym, Mechanix Wear, Great Dane Glasvan, Safety Kleen, Wilride Transport, Lincoln Electric, Permatex & Dickies.